Take a road trip up into any of the high pastures in Abruzzo’s Majella, Gran Sasso & northern Mount Fiori mountains and you can’t help but notice the Tholoi. These are the dry stone buildings crafted by the careful placement of granite Apennine stone along with low terrace walls since antiquity. Tholoi are the shepherds’ temporary mountain lodgings, which provided them shelter as they migrated as part of the transumanza. This is the bi- annual sheep migration where Abruzzo flocks were driven down to Puglia’s sunnier lower plains in mid-Autumn, and where shepherds would make the round trip back home to Abruzzo mid-Spring. You will be able to find them up to 1850 masl, and there are literally thousands in various states of repair. In the early 1920s a census was conducted; 75% of these are found in the Majella Mountains and the largest can be found if you go walking in the Giumentina valley. 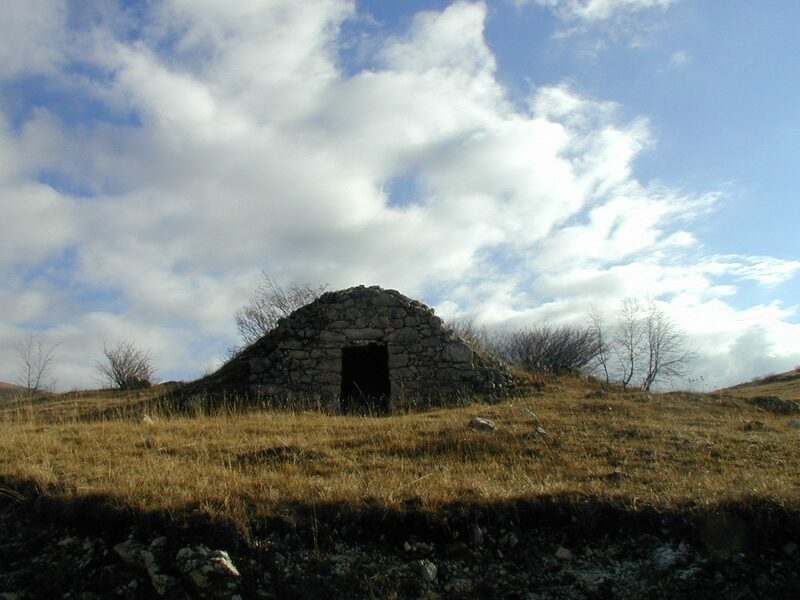 Tholoi not only had to protect against the elements, but Abruzzo’s wonderful biodiversity that includes wolves and bears. These are much smaller in population today but still the moral battle of conservation over rural livelihood rages. There were three paths that drove the local economy at this period known as tratturi; the King’s Pathway that stretched between L’Aquila & Foggia, and the paths linking Celano & Foggia and Pescasseroli & Candela. 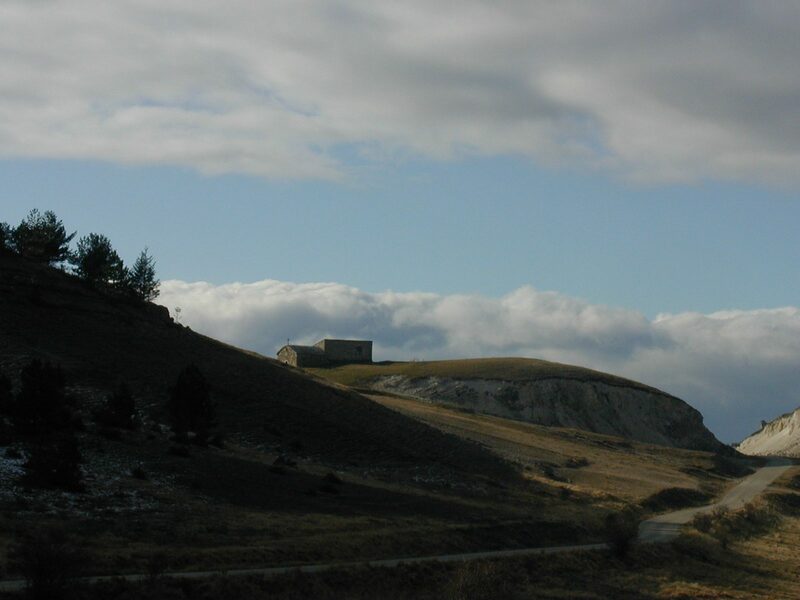 Drive up into the higher pastures around these areas and you’ll be able to walk in the footsteps of the shepherds and their trusty dogs, the incredibly loyal & brave pastore abruzzese. Literally play spot the tholos and you’ll be able to map these great migrations over the mountains, even where a greater period of time was spent as you spot a church in the middle of seemingly nowhere. Other names for these buildings depending on where you are in Italy & their slight shape variations (some are more conical) are: Trulli & Capanne.